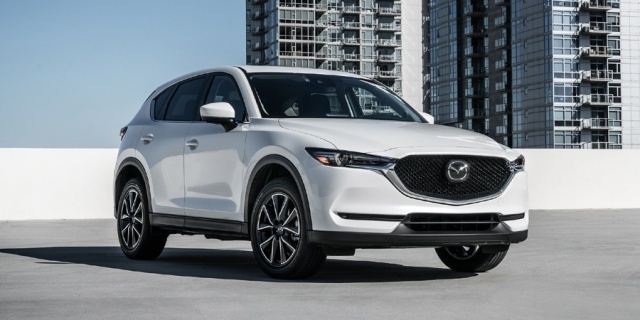 For 2018, the Mazda CX-5's 4-cylinder engine introduces cylinder-deactivation, while all models come with leather-wrapped steering-wheel and shift knob and Blind Spot Monitor with Rear Cross-Traffic Alert. New standard features on Touring models include High Beam Control, Lane Departure Warning, Lane-Keep Assist, adaptive cruise control, automatic on/off headlights, rain-sensing windshield wipers, and 19-inch alloy wheels. Get the best price for the Mazda CX-5 of your choice from a dealer in your area. Request a price quote now.